Immerse yourself in a unique art direction Brought to life by fusing the essence of Chinese 16th century traditional brush strokes with more contemporary, impressionistic styles, Shao Jun’s adventure will keep you awed in an evocative and truly living painting. 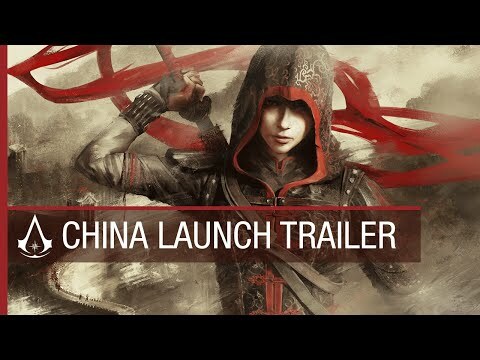 Stealth takes a new dimension Assassin’s Creed Chronicles brings the thrill of being a master Assassin into 2.5D. Scout, sneak and hide to avoid detection. Fool enemies using whistles and disguises. Find your target, kill and escape. Shao Jun’s arsenal is in your hands Should you fail to go undetected, you can always takeout your enemies with style using Shao Jun’s empowering combat arsenal: close-combat martial arts, a powerful Kian Sword and her unique hidden shoe blade. Navigate multiple planes Switch between fore, mid and background environmental layers and choose between different path accordingly to your need: opening up new pathways, completing side-missions, grabbing hidden collectibles, or taking the quickest path to your target.